1. 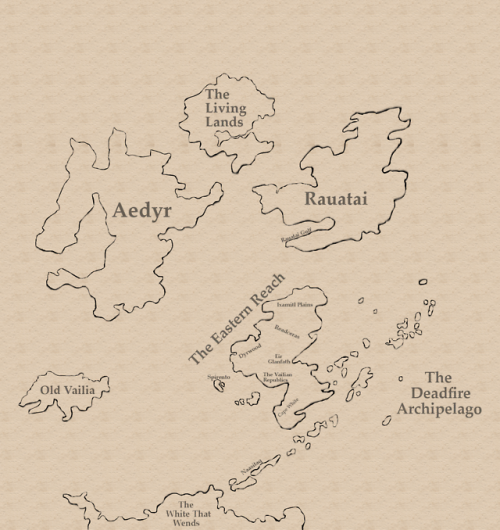 As JES said, the Living Lands and Rauatai are northern hemisphere, with everything else in the south. 2. Aedyr is on the equator, which is about as close to a definite location as we get. The location of the Reach is extrapolated from the mostly temperate climate together with Ixamitl's savanna's, the mention of Old Vailians sailing into the Deadfire past the reach, and the logical landing spots of ships from the colonial powers. 3. Deadfire is plotted according to in-game coordinates. The entire map is based on that, in fact. Comments and feedback are welcome. Yes, Yezuha is kind of Australia, what with it having red deserts and being dry as ****. No, I'm not sure the size of the eastern continent is accurate. Yes, I have too much time on my hands. And the first one, as mentioned in the same thread, was made by Messier-31. Edited by InsaneCommander, 07 July 2018 - 05:39 PM. That second one is based on a game board you can see in the Brass Citadel which is believed to be a map of the game world. It's as close to official as we're likely to get! Yes, now I remember where I saw it. I added the link to that thread in my post. Edited by juanval, 08 July 2018 - 01:48 AM. The size of the Eastern Reach matches up (assuming it's that huge peninsula in its entirety, rather than just the tip), but the rest of the world feels... Odd. The Rauatai Gulf is roughly the size of the Adriatic, with the entire island bigger than Europe. 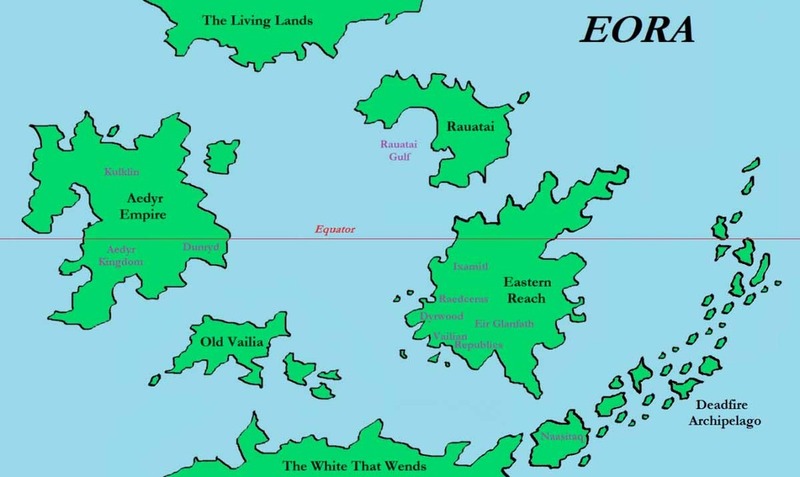 Eastern Reach in its entirety is the size of Australia, the White that Wends is a little bit too much north to be, well, White (unless it's Naasitaq)... Gah, my inner geek is throbbing at the potential here! We need a developer's voice here. Imgur version for those who like it. It seems like this JES is getting a few more questions about the map, so... Time to become the Adoring Fan. Edited by Tagaziel, 08 July 2018 - 05:01 AM. Right you are, the map is worse that Draon Dogma's. It's just hard to tell these things if they aren't detailed enough. My biggest pet peeve is the lack of scale and whether the map is an accurate representation or a modified one to accommodate games of hazatoha. On Pillars of Eternity II: Deadfire, and the JRPGs and other games I hope it draws inspiration from. Council of Stars - Teir Evron - Why are so many deities missing?